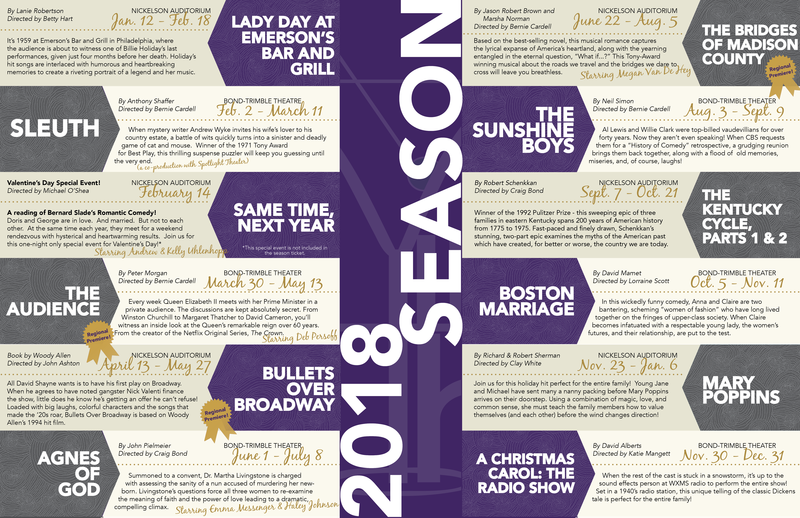 Objective: Bernie Cardell, the Artistic Director at Vintage Theatre came to me with a problem – Vintage Theatre sorely needed a graphic facelift for their 2018 season brochure. Using the existing purple and gold color scheme, I created a layout unlike anything the Vintage board had ever seen before. 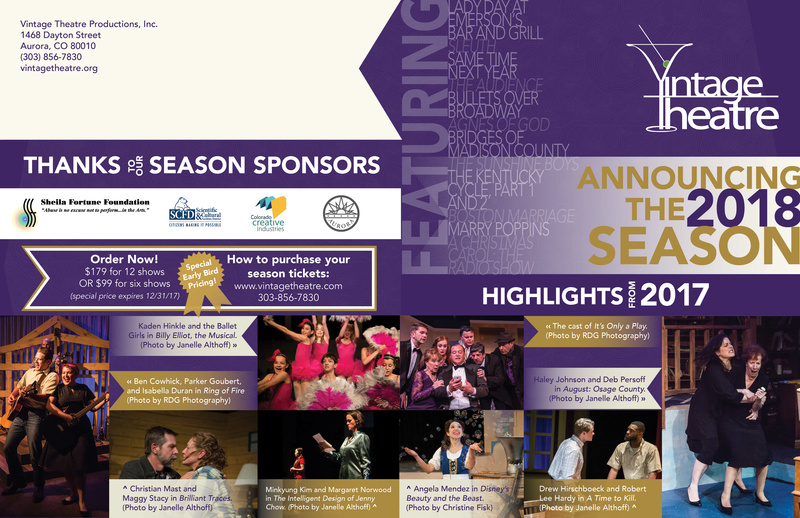 They loved the brochure so much that they decided to hire me on for graphics packages for all the shows of the 2018 season.